Family histories are a treasure trove of great stories. For everyone, one only needs to look back far enough to find a famous ancestor with a colorful story. For some, this might only be a generation or two. For most, it may be a multi-generational search but eventually there is someone profoundly interesting in everyone's past. A family history always has a kernel of truth. However, many if not most details have been exaggerated, embellished, or elided. Oftentimes anecdotes are completely made up and fictional as they are inserted into the family story. It's not possible to know all facts or know which facts are true, so the details are fabricated to interpolate between the known truths. And, of course, most everyone wants to have interesting past, so stories get bigger and bigger, more positive, and more important. And, finally, the past is not always positive; so, dark stories change or are completely removed to make our ancestors seem less awful. Perhaps the past is not so dramatic. However, in piecing together who we are, we examine our family histories. We look for clues. Who and what came before us to make us who we are? This is the initial premise on my search to understand the story of my grandfather, Kanekichi Yamamoto. I never met my grandfather. So, everything I know is second hand knowledge at best. I’ve heard bits and pieces about his life, one story at a time, mostly from my father, George Yamamoto. And, over the years, more and more has been revealed. In recent times, I’ve been actively researching this story. The Internet is a growing treasure chest of more information. The National Archives (in Seattle) has a few boxes of documents that I’ve been able to uncover. The CIA and FBI have records in their archive too, but they have been more difficult to uncover. FOIA (Freedom of Information Act) Requests have yielded a little. Further complicating matters, those that knew, did not talk. And those that talked did not know. My grandfather was a complex character. Those that knew him did not say much out of fear or loyalty. Or perhaps, it conflicted with their narrative of the plight of Japanese Americans during the first part of the 20th Century. And finally, my father was protective of his mother (Helen), my grandfather’s divorced wife. His story was potentially upsetting, difficult, and possibly shameful to her. The people that knew my grandfather are now all likely dead. My father passed in 2010 and my grandmother in 2011. So, first hand stories are now nearly impossible. The phone rang at my parent’s new house at 4616 S. Victor St. in Seattle, WA. My father answered the phone, and much to his surprise, it was his father, calling from the Seattle Tacoma International airport. He was not expecting a call from his father. And, certainly, he was not expecting him to be at SeaTac. 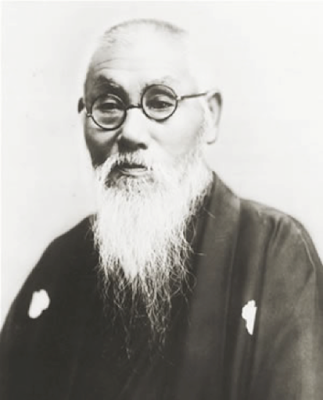 Years ago, in 1939, he was deported from the United States, and banished from ever returning. His arrival was quite the surprise. Apparently, in 1962, security and immigration procedures into the United States were quite different and much more lax than today. My grandfather entered without a legal passport or visa, and the immigration/security checks were pretty much non-existent. My grandfather asked his son to pick him up. My dad, while a bit confused and concerned, was happy. He hasn’t seen his father in 13 years and he had sadly suspected that he might never see his father again. While my father had a pretty good understanding of his father’s past, he had not told many. In fact, he had not told my mother much about his father’s past, though she too had heard inklings of his story. These were stories that were best kept quiet. In fact, because my father was working on highly sensitive (nuclear) military missile projects at Boeing (Minuteman and tactical nuclear weapons) that required security clearances, he was concerned his father’s background would jeopardize his work. It was a tricky balance between being truthful and disclosing information with raising suspicions that would be disqualifying. So, my father casually announced to my mother that his father had made a surprise visit from Japan and was going to pick him up at the airport. 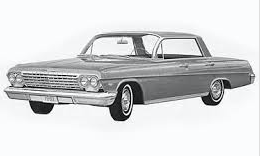 He pulled his brand new 1962 Chevrolet Impala out of the garage and started his 15-mile drive to SeaTac. Once out of the drive way and out of site of the house, he sped, excited but nervous to see his father. However, upon approaching the airport, he slowed to a slower-than-normal cautious speed, realizing that he was unsure of what to expect and not wanting to attract attention. However, it turned out to be quite uneventful. He pulled up to the curbside to where Kanekichi has been patiently waiting. He got out of the car and gave his father a restrained manly hug. But both father and son were happy to see each other. I think both held back the tears and any sign of emotion. It was a bit awkward. My father was 15 years old boy when he left a war torn but rebuilding Japan in 1949. He was now a grown man, married, with a one-year-old toddler, and a pregnant wife with me on the way. His father, though the years and circumstances have taken a toll on him, was still a spry man full of energy, and seriousness. He was now 61 years old. After their greeting, they got into my father’s car. Surprisingly, he came with no baggage. They started their journey home, but all most immediately, my grandfather redirected them – straight to Chinatown. My grandfather was focused and knew exactly where the next stop would be. (I’m not exactly sure where they went but I suspect it was somewhere near Jackson St.) They parked the car, entered a nondescript building, and descended down a flight of stairs into darkness. Standing in front of a locked door, they knocked to enter. A small eye-level window in the door opened and short discussion ensued between my grandfather and the man behind the door. With fear and respect, the door was opened and my grandfather and father were escorted down the hallway and pass through another locked door to an empty room. There, another man felt them up for weapons. The scene was straight out of a low budget Hollywood gangster movie. They took seats behind a large wooden desk in the dimly lit room. Not a minute passed when a Filipino man confidently strode in from a back entrance. Clearly he was a man of authority but when he saw my grandfather rise, he shook his hand in a diminutive way. All three men sat and a conversation in mostly Japanese but also Tagalog ensued. It was a polite, friendly but intense discussion. Neither man trusted the other, but nothing more was said. My dad and grandfather then got up to leave and bid their farewells. It was a visit to intimidate and warn. My mother, years later, dismissively said it was just to get money back. They reversed their walk from the back room – first through the locked door, down the corridor, and finally up the steps. Halfway up the steps, my father was startled, as someone from behind has momentarily reached into both of his back pockets, but then lets him go. Unsure and confused with what has happened, he ignored it and quickly entered the sunlight with his father. They got into the car, and my father started the engine. But before pulling away from the curb, he realized there was a lump in each of his two back pockets. He reached back, and pulled out wads of money – two fistfuls of 100-dollar bills. They drove for about fifteen minutes in silence. “Turn here,” Kanekichi told his son. My dad quickly took a right hand turn. It deviates from the path back home. My grandfather re-adjusts the rear view mirror so he can see through the back window and takes a glance. They drive another quarter mile or so when my grandfather, after glancing up through the mirror again, instructed my dad to turn again. After a left hand turn, my grandfather, while keeping an eye through the mirror, said, “Well, we have company. Someone is following us.” A nondescript black car had taken both the right and left turn with them. Ten minutes later, they were back home, at my father’s house. They pulled into the garage, turned off the engine and get out. Before walking upstairs, they noticed the black car has parked on the corner. My grandfather had not met my mother or my brother. They met for the first time at the house. Introductions were made. My mom was quiet but polite. She spoke little Japanese and my grandfather little English. My father peered out the living room window to spy the men in the black car. They continued to sit. Forty-five minutes passed, and two men exited the car. They walked up to the front door, and rang the bell. 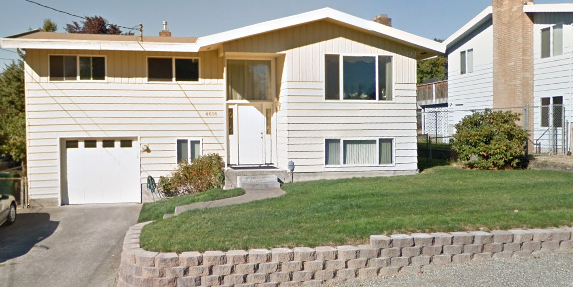 My dad descended the half flight of steps of his split-level house, and he opened the door but left the screen shut. The two men pulled out badges and they identify themselves as Immigration and Naturalization Services Agents. Or maybe it was the FBI. They ask if they could come in to chat, but my dad refused their request. Instead, he walked out on the porch to talk with them. 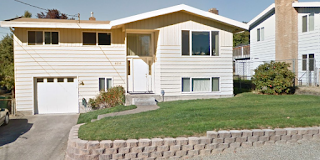 After a short discussion in which my father gave honest but opaque answers to their questions, my father came back into the house, as the agents departed from the front steps, retreated to their car, but did not leave. They will stay guard and keep a watchful eye. My grandfather was happy to be in America, with his son and his family. Of course, he wanted to see his wife, other children and other family members. My father was on the telephone, calling relatives and friends for an impromptu party. Family came to the house. All were happy to see my grandfather, albeit surprised he was in the country. Fuku Nakatani, the matriarch of my father’s family, was especially happy to see Kanekichi. Kanekichi’s wife, Helen (my father’s mother) was nervous. She had left Japan and Kanekichi 10 years earlier (in 1952) – to be rejoined with her sons and family after the end of World War II. Life in Japan, devastated by the war, left little for Helen. Leaving her husband was a difficult choice. But she did it for her family. She did it for herself. It was an awkward meeting after a ten-year absence. They were polite to each other, but weary. Their lives had grown apart, separated by thousands of miles and an ocean. They had little to say to each other. The evening passed quickly. All the guests had departed by midnight. Kanekichi talked with his son (my father) until the wee hours of the morning. They spent the night catching up on lost time and getting reacquainted. My father was glad to see his father, yet also concerned for his mother. Morning arrived and my mother served an American breakfast. The morning passed quickly; Helen and her mother returned to see Kanekichi. While there seemed to be much to be said, little was spoken. Soon, it was time for Kanekichi and my father to to leave for the FBI offices in Seattle. They bode goodbye to my mother and brother. My grandfather was gracious, solemn, but confident, though he wasn’t sure if this was goodbye for a few hours or goodbye forever. My father, on the other hand, assuredly told my mother that he would be back in not more than a few hours. As they departed the house, the men in the black car were still waiting for them. They followed my father and grandfather as they drive away. Twenty minutes later, they were downtown at an FBI office. Again, it was like a scene out of Hollywood movie or TV show – they entered a large office building. A sea of Formica topped desks organized in a grid structure sprawl across a large open and chaotic space. A ring of offices on the perimeter of the floor surrounded the “bullpen” of desks. Typewriters clacked noisily in the background, telephones rang constantly, and a murmur of conversations were heard but not recognizable throughout the office. My father and grandfather were first seated at two uncomfortable wooden benches, outside of an office on the perimeter. They waited patiently for nearly 2 hours. Finally, my father and grandfather are escorted to one of the offices when the two men who had been following them meet them. Several boxes stuffed with records sat on the table in the office. A few of them with their tops removed. A handful of manila folders were out, a few were opened with papers spewing out. One agent wass sitting, the other was pacing, examining the papers from one of the folders. They all sit at the table, when my grandfather and father entered the room. “We have a few questions for you. I hope you don’t mind. I’m officer Johnson, and this is my partner O’Reilly,” said the officer that was pacing with the folder. It was unclear who “…for you” meant. My father would answer for himself and sometimes for my grandfather, acting as a translator. Other times, my grandfather would answer for himself. It was never clear how much English my grandfather understood. I suspect that he actually understood a lot, but he used the ambiguity of him possibly not understanding to his advantage, feigning a language issue was a key tactic to convince or mislead. A: To visit family and friends. Q: Do you know a Mr. Rudy Santos? A: He is a friend and former employee. Q: Do you know why he would have called to inform us of your arrival? A: He was a friend I came to visit. I do not. A long discussion ensued where Johnson tried to resolve why he lives somewhere different than his address on his records. My father tried to explain the concept of Honseki and Koseki to them – basically the Koseki is the family records kept at the Honseki, a city where the records are kept. This seemed to create much confusion. Finally, they got to questions regarding his passport and visa. He had no visa to enter the United States. And, after attempting to review a collection of records by the federal district court, the agents needed to make a decision of what to do. They were relatively young – perhaps 25 or 26 years of age, with no or little knowledge of my grandfather’s past in the United States. The boxes strewn across the desktop contain the information that probably revealed all. All they discerned was that he was convicted of tax evasion in 1938, sentenced to McNeil Island, and then deported to Japan. It was now four PM on Friday. The office was closing down for the weekend. Their boss, who was readying himself for a two-week vacation, was impatiently waiting for a decision. Johnson knew he could and possibly should pursue this matter. But it would be a long weekend of work, delaying his boss’ vacation. O’Reilly looked at his watch and his boss peered through the venetian blinds through the window, also looking at his watch. Johnson closed the file and pushes it to the center of the table. My father and grandfather looked at each other, and nodded in agreement. They stood up and Johnson and O’Reilly rose as well. My grandfather shook hands with both, and Johnson closed the folder, some how symbolizing the finality of this situation. My father shook my grandfather’s hand, and a father to son hug followed. Kanekichi was then escorted out the back of the office, where a King County officer awaited at the back door. He turned and gave a final look to his son as he exited the office and then proceeded to the police car that would whisk him away to the airport. It was an uneventful end to a short visit. My father was escorted out the front door. Released, he then proceeded to walk back to his car. At this point my father realized Santos called Immigration/FBI. Santos was concerned that his father indeed had returned to restart his businesses. Or worse – make sure Rudy would never continue to run his former business. Santos was afraid, wanted my grandfather’s presence known to the US Government, and hoped he could get him out of the country, lest he cause trouble. Santos seemed to have succeeded. Arriving at his car, my father unlocked the door. Just as he opened it, a gust of wind kicked up to create a small vacuum – hundred dollar bills flew out of the car and onto the street. They had forgotten to pick up the money that had been strewn about the car. After that eventful day, my grandfather remained in Yokosuka, Japan, a city about 40 miles out of Tokyo until his death. From my recollection as a child, it seemed to be an unassuming life. He operated restaurant that served noodles, made daily by grandfather. Yokosuka is a port town, where the Japanese Imperial Navy moored its fleet, both in the past and present. The U.S. Navy base in Japan has also been housed here since the end of World War II. My grandfather lived with his “mistress” Michiko and provided food services to the Japanese Navy. While he was alive, my only interactions with my grandfather were packages that he sent a few times a year. A package from him was always a large box, often wrapped in reddish-brown paper and tied together with rope made from hemp. They had a strange musty-sweet smell and the lettering addressed on the packages was a mixture of Japanese and English. My brother and I called the odor, “the smell of Japan.” The packages were delivered via the regular postal service, probably by ship and took over a month to get from Japan to the United States. They were quite battered from the journey. Sometimes it had appeared that they were opened and inspected before being delivered to our home. When the package arrived, we’d wait until my dad got home from work to open it. It was like Christmas morning – we could hardly wait for his arrival so could see what may grandfather sent. It was largely Japanese food products that we couldn’t get in the United States, dishes that my grandfather sent to my mother, and toys for my brother and me. 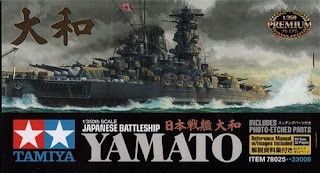 They toys were often model ships – World War II Imperial Navy vessels. The models were of impeccable detail and came with small servo-motors that drove the model’s propeller. The models were operational in that they would float in water and could be propelled by the engine propeller. In many ways, models were symbolic of the re-building of Japan. Such operational models surpassed anything that was made in the United States. The models showed the manufacturing superiority that Japan had achieved in few decades since the end of World War II. My father only saw his father one more time in his life. He went to Japan in 1968 for about a week, specifically to see him. He found he was in ill health. It was the first time he met Michiko. Much of what he learned about his family came from this trip.He learned that Michiko was formerly a geisha, and that my grandfather bought out her contract. I’m not sure how long my grandfather knew Michiko – from stories from my Dad, it may be years, starting in the late 1930’s or early 1940’s. My grandfather and grandmother officially divorced in 1965, in abstention – my grandfather was in Japan and my grandmother was in the United States. 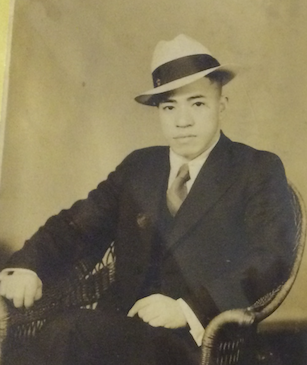 Kanekichi Yamamoto, my grandfather, died on December 2, 1972. I was only 6 years old. I remember the day – actually evening – with crystal clarity, as though it happened yesterday. A phone call came to our house. I answered it, only to hear the voice of a telephone operator, overlaid with the voices of people speaking Japanese in the background over a connection filled with static. And crying. The operator asked if I would accept a “collect call.” I did, but I did not know what that meant. I called out to my father, interrupting his conversation at the dinner table with my great uncle, Uncle Kenny. Somehow I knew something was not right. My father picked up the phone and listened without saying a word. Then, he answered loudly but calmly, with a burst of questions and answers, all in Japanese. I didn’t know what he was saying. But somehow I knew, what the call was about. My grandfather had passed away. And, my dad would need to fly to Japan to make arrangements to bring him back to the United States. 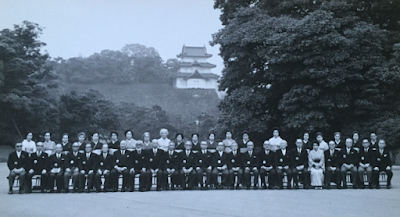 My father’s returned to Japan in 1972 after my grandfather’s passing was a rich experience. He recalls the ceremony of his father’s cremation. After his body was burned to ash, his aunt instructed him to sift through the remains and pick out the bones with a pair of chopsticks. It was a “bone chilling” experience that shook him to the core and made him physically ill. I guess that was the point; the intent of this ritual was to help him realize and accept that his father had passed. My grandfather’s funeral was a large affair. Though friends and family that attended were few, a large number of military personnel, government officials, and other people of unknown associations. My father said that he had never seen so many “bars on sleeves” in his life – meaning that many that attended his father’s funeral were high ranking Navy officers. My father’s aunt, his father’s youngest sister Aoyoko, pulled him aside to tell him the family history of the Yamamoto family. She knew it was likely the last time she would see him and thus the last opportunity to shared this information, lest it be lost forever. My father learned of 12 generations of Yamamotos. As far back as known, the first Yamamoto was a famous ceramicist. He And, many generations followed in that vein. At my grandmother’s request, he had his younger sister’s remains (she was born shortly after my father but died at birth) exhumed and he brought them back to the United States to be buried with my grandfather. This sister, who did not have a name, remains buried with my grandfather (and grandmother) at the Sunset Memorial Cemetery, with no marker of her own. As for my grandfather’s remains, Michiko and his family wanted to bury him in Japan, outside of Toyama (his birthplace). So, my father split the ashes, leaving half with Michiko and bringing the other half back to the United States. In 2001, I took my family to Japan with the intent of visiting Michiko and seeing where my grandfather lived. We arrived on September 12 in the evening. We were exhausted after a long day of travel, jetlagged by the time difference of 8 hour. We checked in, and approached the elevators that would take us to the 8th floor where our rooms were. I pushed the “up” button, organized my luggage, and looked up at the television screen in the lobby, as I waited for the elevator to arrive. The television was tuned to a newscast. Strange scenes on the screen that I couldn’t quite understand mesmerized me. A skyscraper was burning, smoke poured out from it, and people were running in all directions. It was pandemonium and confusion. A newscaster, an American, was speaking in front of the burning building but it was dubbed with a voice over in Japanese, which I didn’t understand because I did not speak Japanese. Before I could really comprehend what I was watching, our elevator “dings” as it arrives in the lobby, and its doors open. After I enter the elevator and load my luggage, I turned around to look at the television again and realized that the burning building was the World Trade Center in New York. 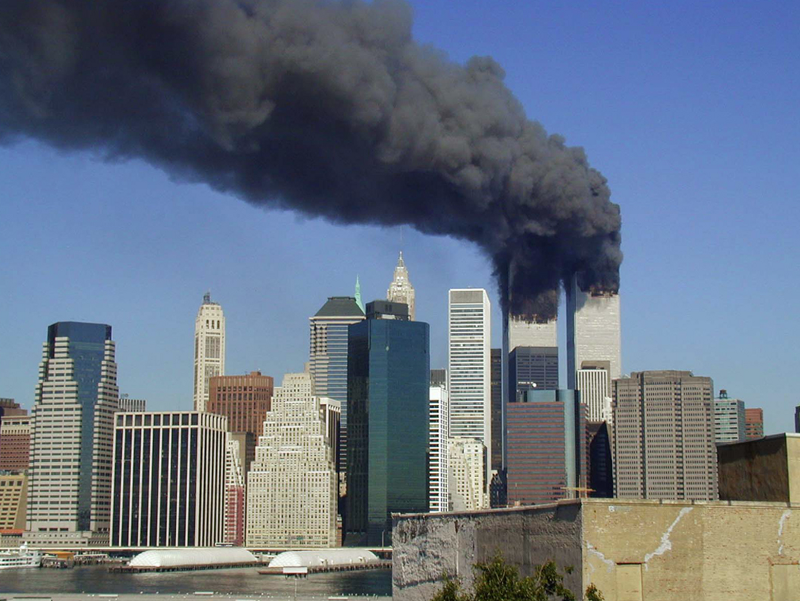 Just as the doors began to close, I saw an airplane crash in the second tower of the World Trade Center. Our elevator took us to the 8th floor, and I thought little about what we had just seen – we were preoccupied with getting settled in a new country and start our vacation. However, we turned on the television in the room where my brother and I were staying, and my father joined us. He was able to translate the Japanese broadcast. Of course, what we had observed from afar in Japan was a terrorist attack on the United States – soon to be known as simply “9/11.” It was the first attack by a foreign power on American soil since the Japanese attacked Pearl Harbor to drag the United States into World War II on December 7, 1941. Like that fateful date in 1941, 9/11 was a wakeup call for many Americans. This time, many reasoned (incorrectly? ), the enemy was not the Japanese, but rather, Muslims. And their leader was Osama bin Laden. Being in Japan during 9/11 was a bit strange. I didn’t feel the impact of being attacked while in a country far away. Airplane flights were grounded for an indefinite amount of time. There was little for us to do other than proceed with our vacation. And that we did. We toured Tokyo for a week, seeing much of the city where my father grew up in the 1930’s. After a week, we took a short train trip to Yokosuka to visit Michiko and see where my grandfather had last lived. When we had arrived, it was as though time had stopped since 1972, the year my grandfather died. We walked through the restaurant kitchen. Surprisingly, all dishes and cups sat in drying racks and all the cooking equipment remained untouched from the last night my grandfather operated the kitchen, some thirty years earlier. When we entered his one room house, his kotatsu (a low wooden table for sitting, with a hole below for a heater), sat in the center. I sat down in his spot to reflect. It was an honor to sit in my grandfather’s place. When I looked up, I saw a familiar picture – a picture of Mitsuru Toyama.